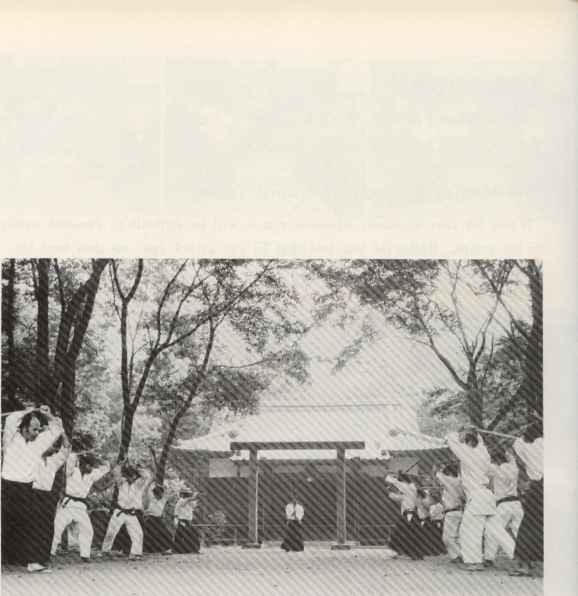 Your opponent attacks with a straight strike. You move to the left. 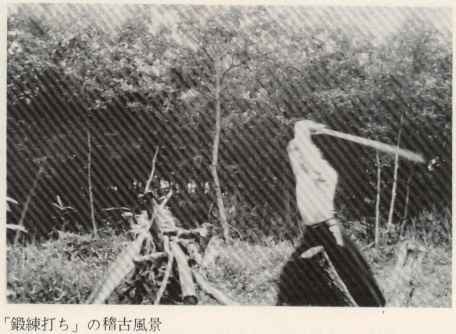 As he raises his sword to attack again, you match his movement and strike. 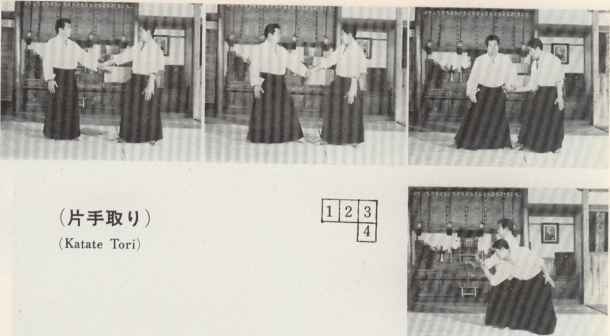 A complete blending of Ki must be maintained with your opponent. 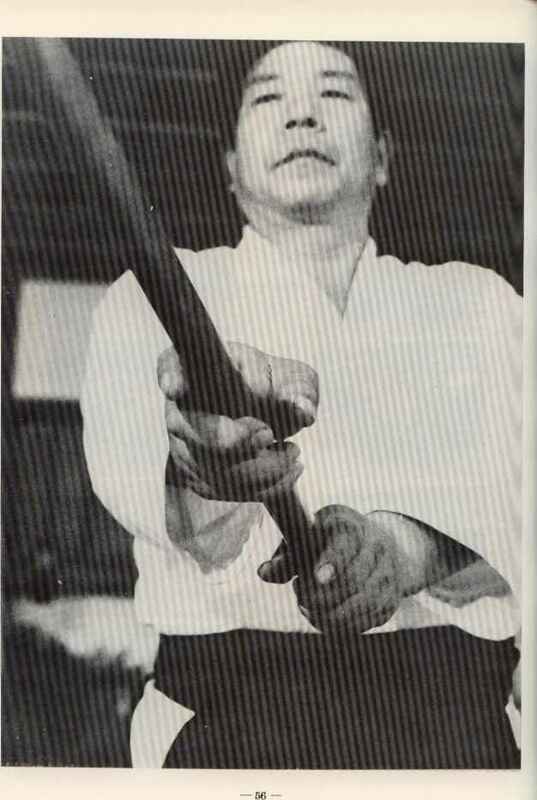 Another name for this technique is Ki-musubi-no-tachi, or the sword of uniting Ki. 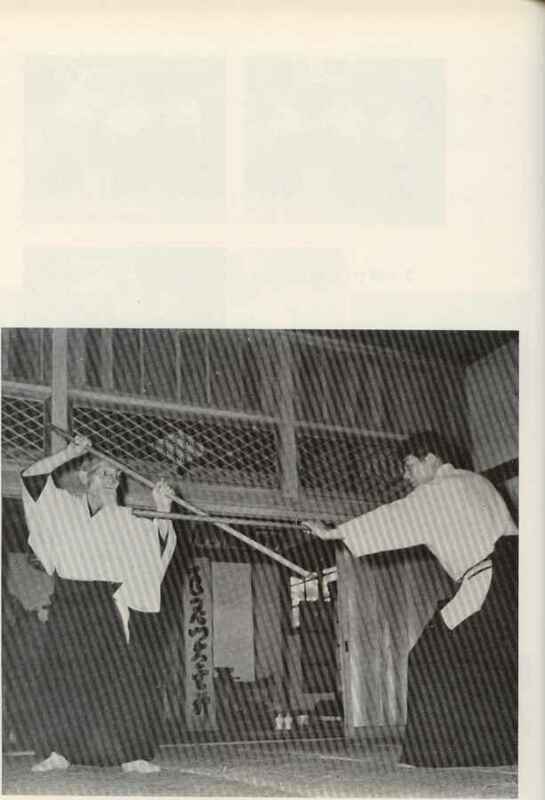 As your opponent raises his sword to strike, restrain him from striking by projecting your sword against the underside of his forearms. Enter deeply to his rear, face him, and strike down. 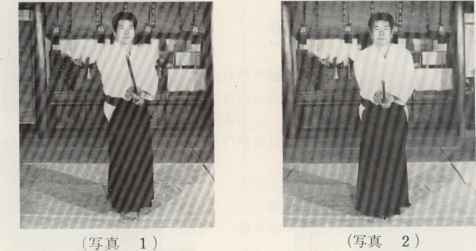 In AikidoiFigure 1 is the basic posture. 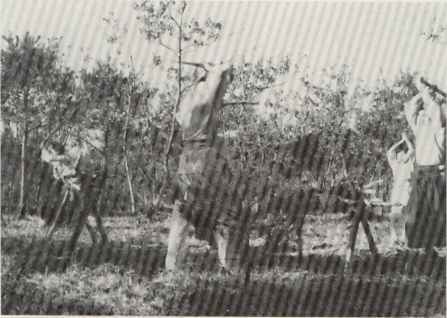 In this posture, movement to front and rear or right and left is possible. 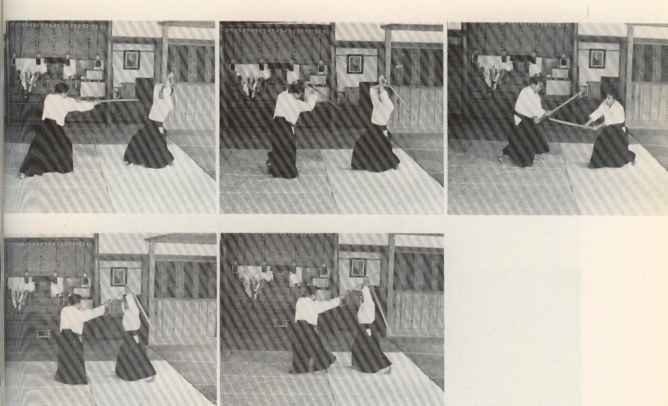 The photographs on the next page show two possible movements toward the front on the right and left side. The rotation of the hips determines the movement of both feet, The movement of the head determines the movement of both hands. 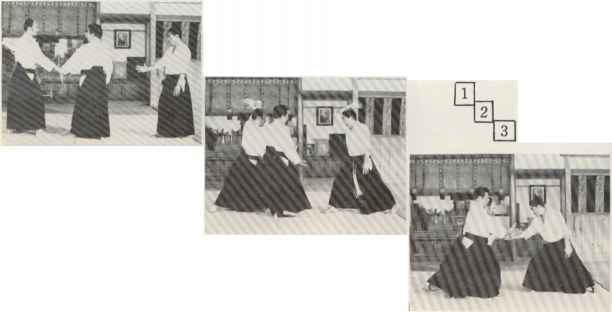 However, the hips move before the feet. Do not be aware of only moving the feet. 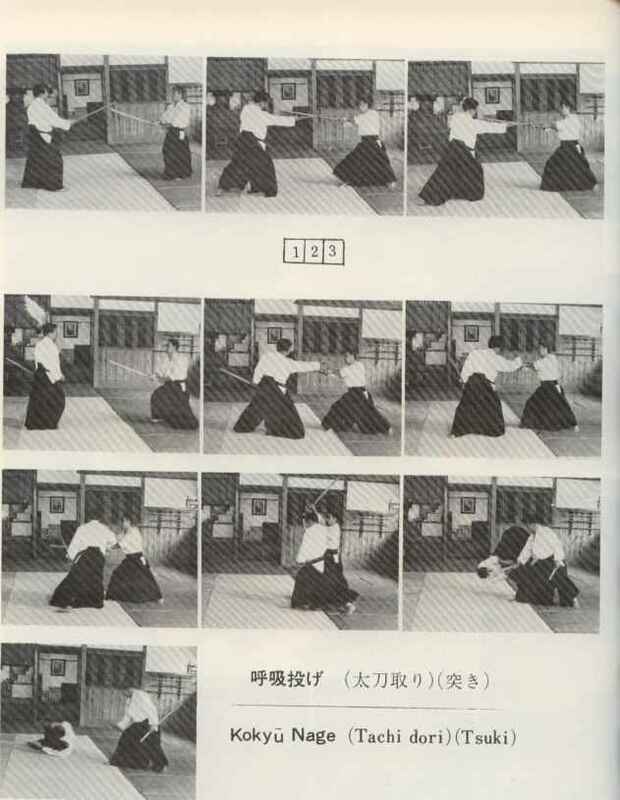 It is good practice to rotate the hips to evade an opponent's thrust. 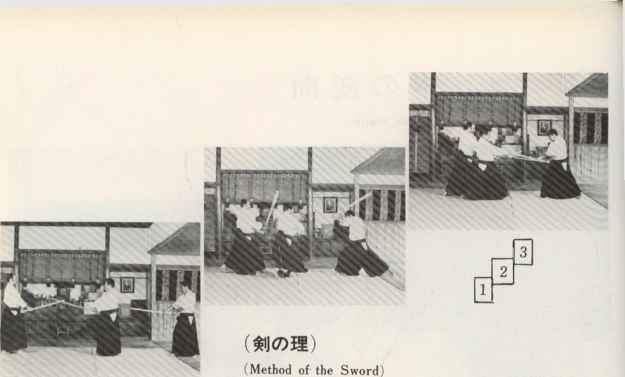 The typical movements from Kamae. This was considered to be is a secret technique to escape from multiple attackers. 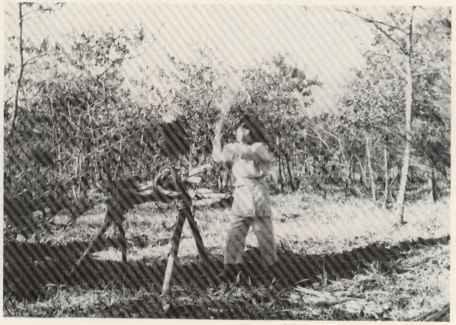 The other nam; for this is "Yamabiko-no- michi", the path of an echo. As you extend your Ki, the Ki of your opponent will return to you like an echo. 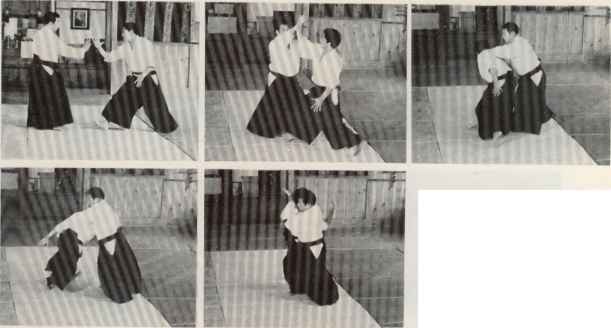 However, you do not receive your opponent's Ki because you have instantly moved past him to his rear. 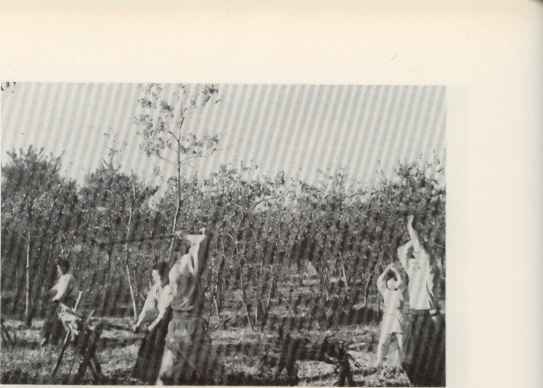 (Oral Iristruction-an old poem taught to the student) Brandishing his sword, My enemy in front Prepares to attack. But behind him, I am already standing. 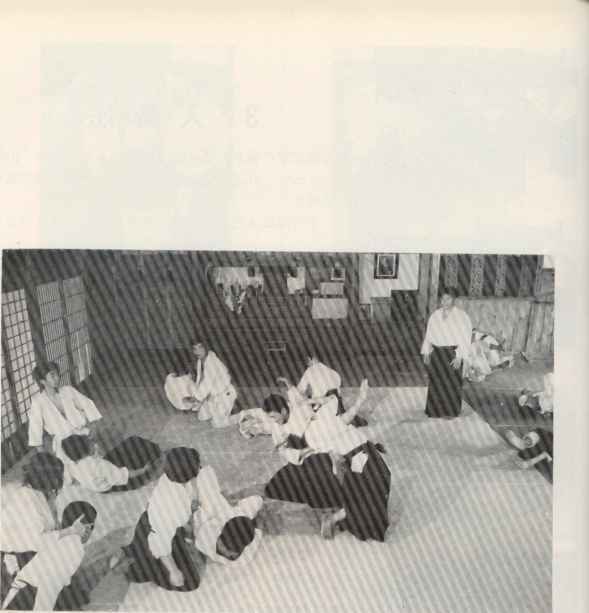 (Oral Instruction) Many enemies Surround me In attack. Thinking of them as one, I do battle. 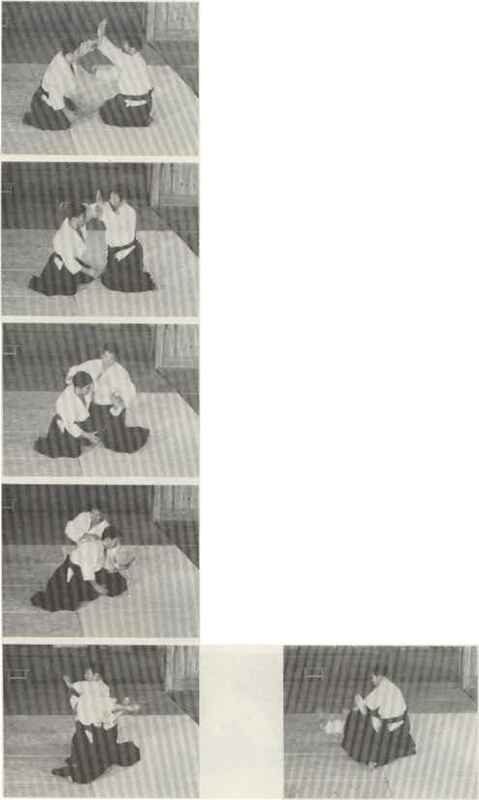 Draw out your opponent's Ki and enter deeply to his rear. 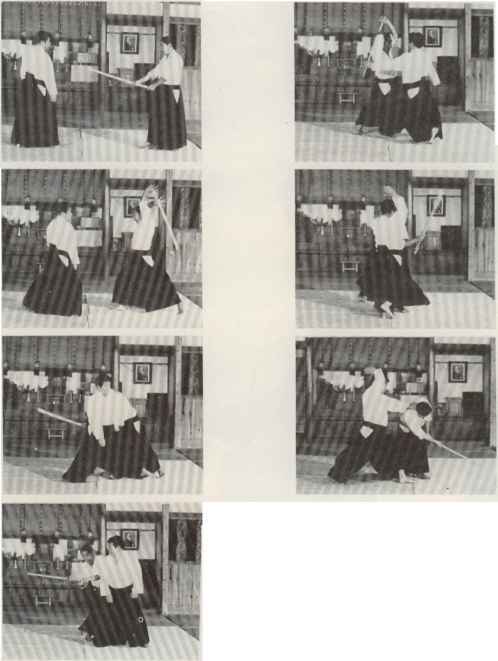 Having close contact with your opponent, throw him by rotating the hip as when striking with the sword. 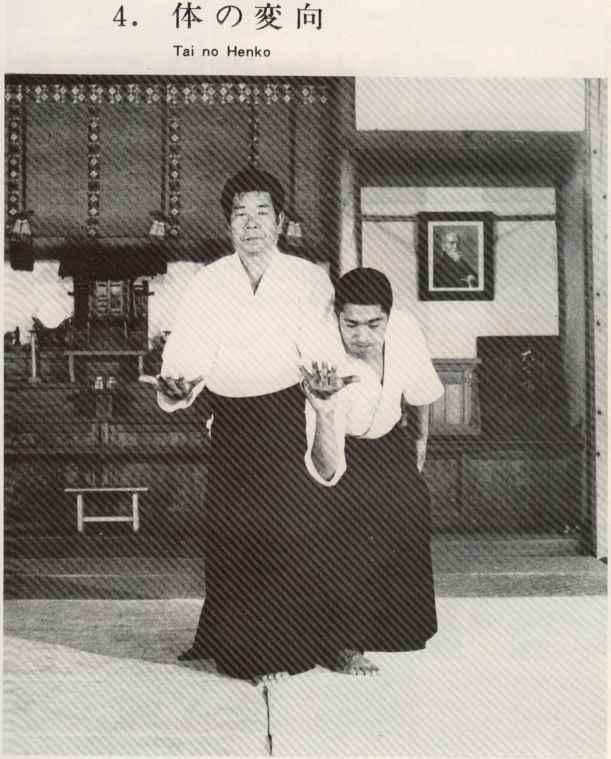 (Sitting Technique) Same as the standing technique. 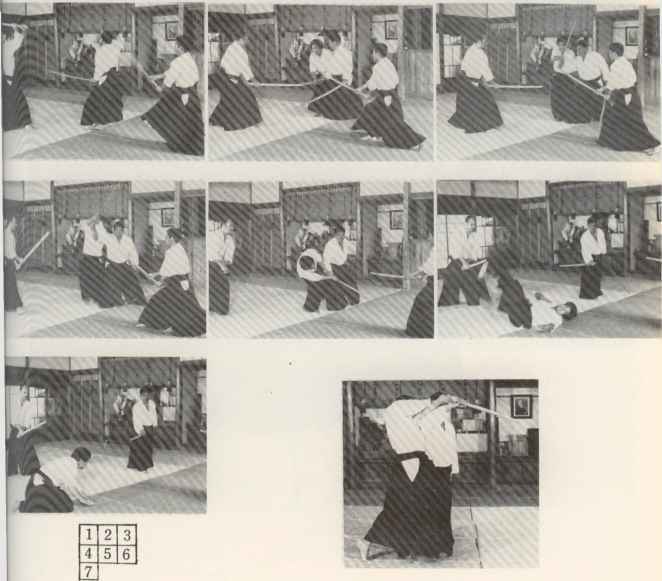 Body movements when confronted by an opponent who is continuously attacking with yokomen uchi and shomen uchi. Let your Ki blend with that of your opponent. 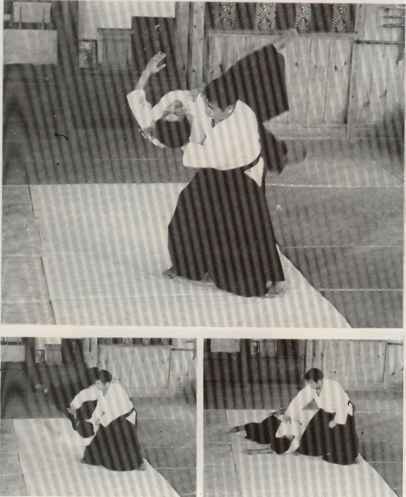 As his strike is beginning down, grasp his sword hilt and lock his left elbow over your right arm. Lift your arms as if raising a sword and then strike down. 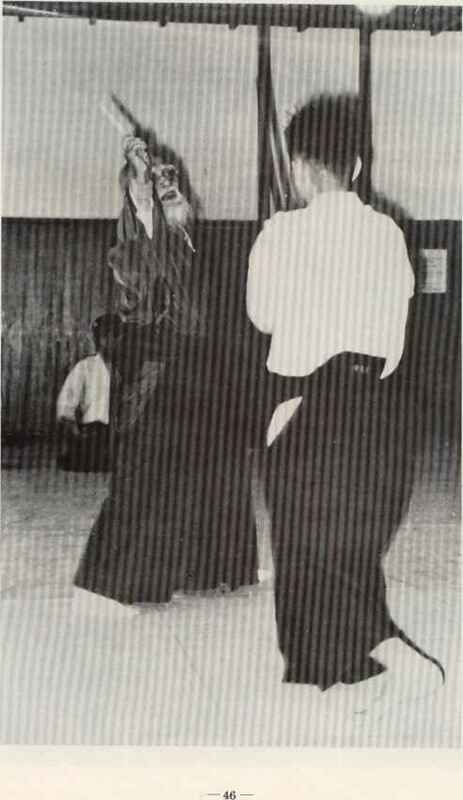 If you let your opponent influence you, it will be difficult to respond easily to his attack. Rather let him feel that he can attack you nd then lead his Ki in any direction you wish. 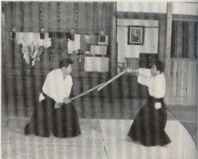 If you are gripped by your left hand, do not let it cross over your opponent's center line as you turn or you will receive his strike.